We squat, lift, press, jump, throw, catch, run, and maneuver our bodies using balance, coordination, and strength. Why? Because we must do those things in the real world—every day. We constantly change our routine to match our constantly varied reality. We measure things like loads and times, because something inside us inherently knows that real results must be measurable and verifiable. You don’t have to be a scientist or engineer to know that. Numbers are real, and we can feel this. We got a day job, family, friends, kids, dinner parties and know how it is to juggle everything in life. We are real people with a passion for fitness. We are real people who care about your fitness goals. Coach Iskandar: Started CrossFit in 2012. Combines his athletic life with an office job.Got a passion to create better moving humans. CrossFit Level 1, CrossFit Level 2, CrossFit Mobility, British Weight Lifting Coaching Level 1, British Weight Lifting Coaching Level 2, StrongFit follower, CrosFfit Endurance. 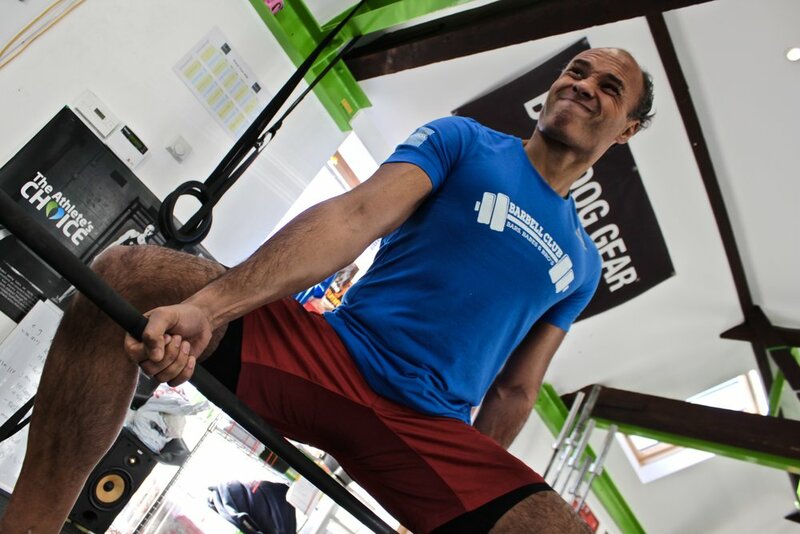 Coach Nathan: CrossFit Level1 and qualified as a Level 3 Personal Trainer. Six years experience in Personal Training and using Crossfit since 2011. I have never used a more effective, enjoyable and creative strength and conditioning program that has given me and my clients great results. Coach Katie: Katie has been doing crossfit for 4 years now. A fun hobby very quickly got her hooked and in the last year she started following a competitor program which has seen her achieve 94th in the world, 7th in Europe and 3rd in the UK in the masters 40-44 category for the open 2017. Katie is a level 1 coach and level 1 gymnastics coach. She is hugely passionate on helping people reach their own personal goals whatever they may be and believes that any goal is achievable with belief, desire and dedication. 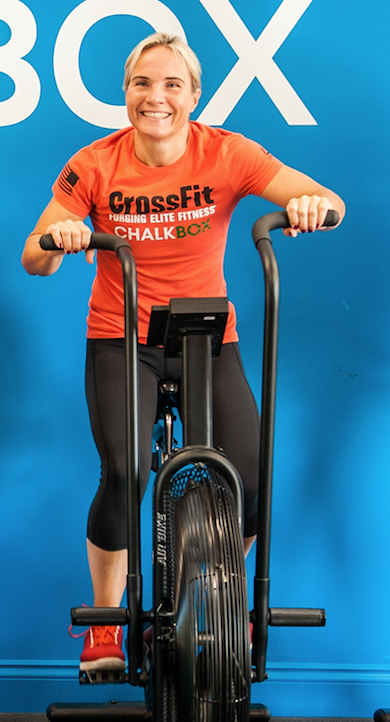 TEAM CHALKBOX: We are real life people with a passion for fitness and ChalkBox. Our goal is to help you achieve your goals in- and outside the gym. Owner & Coach Agnes Started CrossFit in 2013 after having done almost any other fitness program you can find. In her childhood up to young adult age she has been very active in gymnastics and show-dancing. Being a mum of 3 she has the passion to coach CrossFit to children at a young age to teach them a healthy lifestyle and give them a long lasting love for fitness. Qualifications: CrossFit level 1 and 2, CrossFit Gymnastics, CrossFit Kids, CrossFit Mobility, CrossFit Endurance, British Weigh Lifting lvl 1 and Aerobics instructor. Coach Jason: Started CrossFit in the army in Afganistan. He got his gym instructors qualifications in the army and is an ex semi-profesional boxer. He has got a passion for Olympic Weightlifting and has trained on several occasions with Lapikov the silver medalist in the 2006 World Championships and Bronz medalist in the 2008 Beijing Olympics.